I am a principal speech and natural language research scientist working at Nuance Communications, a software company in California. My research interests include statistical and grammar-based language modeling, spoken dialogue systems, natural language processing and understanding, speech recognition, ontology design, theoretical syntax, and Austronesian languages. Contrary to popular belief, I am not Canadian — I was born in Ohio. In English, my name is pronounced ['ʤʌs.tin 'hjuwgz.nuw.ʤɚ], but it's [ʒys. 'tẽ yg.ny. 'ʒe] in French. When I'm not doing linguistics, I enjoy reading pretentious novels and unpretentious magazines, discussing complicated things in simple ways, having fun with good friends, and doing just about anything with boisterous, intelligent people. I have lived in Montréal, Micronesia, the South of France, the Deep South, former East Germany, Washington DC, and now I'm back where I grew up — the San Francisco Bay Area. Watching sports on TV makes me bored, but I like going to games in real life. I love anything hot or cold: e.g., beach days, ski trips, spicy Indian food, popsicles, celebrities, and eskimos. I also enjoy unpredictability and therefore both appreciate and eschew spontaneity, depending on the situation. I become extremely happy during the Olympics, and the rest of my life takes a backseat. I randomly have semi-official certifications in bartending, scuba diving, and German/French fluency. I've never owned a car, and I don't know how to ride a bicycle. I played trumpet for ten years and then abruptly stopped. Sometimes I pretend I am artistic. I once played an ensemble part in Federico García Lorca's Bodas de Sangre even though I did not understand my Spanish lines. I love rabbits. I don't know what else to write. Blogs. I don't read them. Last Update: 13 November 2017. Nuger, Justin. 2016. Building Predicates. Dordrecht: Springer. Vadlapudi, Ravikiran, Ekaterina Buyko, Xi Chen, Yi Chu, Justin Nuger, and Anushree Venkatesh. 2015. Classifying the Intents of Fragment Inputs in Natural Language Understanding. Poster presented at the 8th Annual Nuance Research Conference, 18 March 2015. Montréal. Nuger, Justin. 2015. Towards Self-Tuning ASR: Grammar Optimization with Synthetic TTS Audio. Poster presented at the 8th Annual Nuance Research Conference, 16 March 2015. Montréal. Nuger, Justin. 2014. Levels of Abstraction in Custom Pronunciation Generation for Speech Recognition. Poster presented at the 7th Annual Nuance Research Conference, 18 March 2014. Boston. Nuger, Justin. 2011a. The Syntactic Structure of Palauan Resultatives. In Lauren Friedman (ed. ), Proceedings of the 34th Annual Penn Linguistics Colloquium, 165–174. Philadelphia: University of Pennsylvania Working Papers in Linguistics 17.1. Nuger, Justin. 2010c. Implicit Arguments and Unaccusative Syntax: Evidence from Palauan. In Proceedings of AFLA 17. London, Ont. : AFLA Proceedings Project. Nuger, Justin. 2010b. Discontiguous Reduplication in a Local Variety of Malay. In Raphael Mercado, Eric Potsdam, and Lisa deMena Travis (eds.) Austronesian and Theoretical Linguistics, 45–64. Amsterdam: John Benjamins. Nuger, Justin. 2010a. 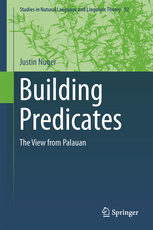 Architecture of the Palauan Verbal Complex. Doctoral Dissertation, University of California, Santa Cruz. Nuger, Justin. 2009. On Downward-Entailing Existentials and Differential Object Marking in Palauan. In Sandra Chung, Daniel Finer, Ileana Paul, and Eric Potsdam (eds. ), Proceedings of AFLA 16, 137–151. London, Ont. : AFLA Proceedings Project. Saba Kirchner, Jesse, Justin Nuger, and Yi Zhang. 2009. An Extensible Crosslinguistic Readability Framework. In Proceedings of ACL 2009, 2nd Workshop on Building and Using Comparable Corpora, 11–18. Singapore: ACL and AFNLP. Alexiadou, Artemis, Jorge Hankamer, Thomas McFadden, Justin Nuger, and Florian Schäfer. 2009. 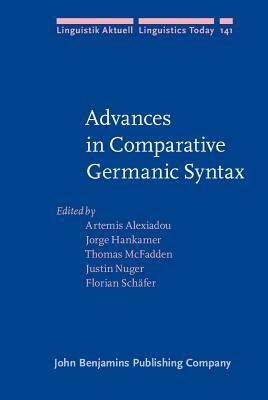 Advances in Comparative Germanic Syntax. Amsterdam: John Benjamins. xv + 395 pp. Nuger, Justin. 2008. Variations on the Palauan Theme. Manuscript, University of California, Santa Cruz. Nuger, Justin. 2007. The Case of Objects. Manuscript, University of California, Santa Cruz. Ling 889B: Seminar in Morphosyntax (Syntax-Morphology Interface) (Spring 2011). Instructor. University of Maryland. Ling 311: Syntax I (Fall 2010). Instructor. University of Maryland. Ling 113: Syntax II (Spring 2010). Teaching assistant for Prof. James McCloskey. UC Santa Cruz. Ling 52: Syntax I (Winter 2010). 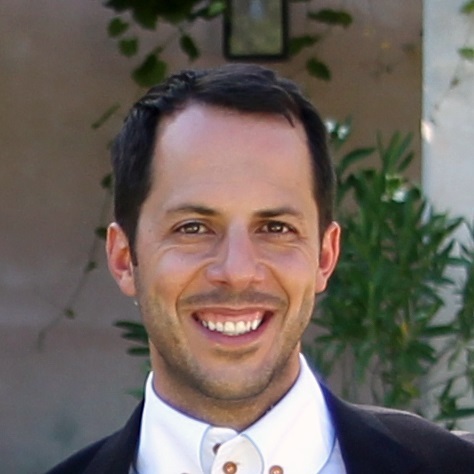 Teaching assistant for Prof. Jorge Hankamer. UC Santa Cruz. Ling 52: Syntax I (Fall 2008). Teaching assistant for Prof. Sandra Chung. UC Santa Cruz. Ling 50: Introduction to Linguistics (Summer 2008). Instructor. UC Santa Cruz. Ling 181: Structure of Romance Languages (Winter 2008). Teaching assistant for Prof. James Isaacs. UC Santa Cruz. Ling 20: Introduction to Linguistics (Spring 2007). Teaching assistant for Prof. Geoffrey Pullum. UC Santa Cruz. Ling 80V: Structure of the English Vocabulary (Fall 2005). Teaching assistant for Prof. Junko Ito. UC Santa Cruz.